2) Why the hell am I wearing so many clothes in May....in Dubai? In answering question two I have one word: rebellion. If you took notice of the weather in this place then you would only ever wear one wardrobe and your clothes would never change. You have to adopt a slight non-conformist attitude sometimes otherwise dressing gets boring when you have lived here for a few years. The jeans and jacket are both River Island and this is not a sponsored post - I repeat this is not sponsored. I happened to go in to River Island after getting my hair blown dry and went on a bit of a spree. The jeans are slouchy and perfect for casual dressing. They are supposedly a new slim cut boyfriend which means that your arse doesn't look hideous in them but that they feel comfortable and sit on the right side of baggy. I like to pretend to be cool and pull them down so that the waist sits on my hips. The jacket is something that I have seen done by many (expensive) brands. It's a light summer jacket - akin to wearing a cardigan - and the feature that appealed to me was the gentle, flowing waterfall line at the front. It's one of those magic throw it on pieces that I tried on in store and actually said "oh yes" out loud. I did hesitate in buying it for a second but after bagging it I am SO pleased that I did succumb. It's so comfortable to wear but will look great with shorts and jeans. Jacket: River Island - UK Link! US Link! Tee: COS - best t-shirts ever and half the price of Wang. So there. My nails right now are BarryM Rose Hip. Good God if ever there was a colour that I would buy it is this one. It's that white based baby pink that makes me salivate when I look at it. Application is okay - you need a streaky as hell first coat and then a decent blob of a second coat - and I find that Barry M polishes generally come good in the end. This reminds me of Gelish's You're So Sweet You're Giving Me a Toothache (longest name ever) and I think the next time I hit the nail salon I will be opting for that for a more long lasting look. The nail polish couldn't be more "you" if it tried. I'm rather jealous of you for living in Dubai but I can imagine how boring it would be getting dressed after a while. I may moan about Scotland's weather but at least I know I won't completely melt if I was to wear jeans and cherish the few days I can wear something that shows a little more skin. I still wouldn't mind a few days wandering around Dubai and accidentally burning layers off of my skin though. The jacket is absolutely gorgeous. River Island have some really fantastic bits and pieces in at the moment - I'm not surprised you came away with more than just one thing! Love these photos, you look beautiful. The jacket is so nice aswell. Ha I notice a lot of bloggers put their hands in their hair during photo shoots. Maybe its to look more natural? Whatever it is, it works. I love your style, your wardrobe must be full of lots of amazing things if you OOTD post are anything to go by!! I can't stop staring at those beautiful chanels! 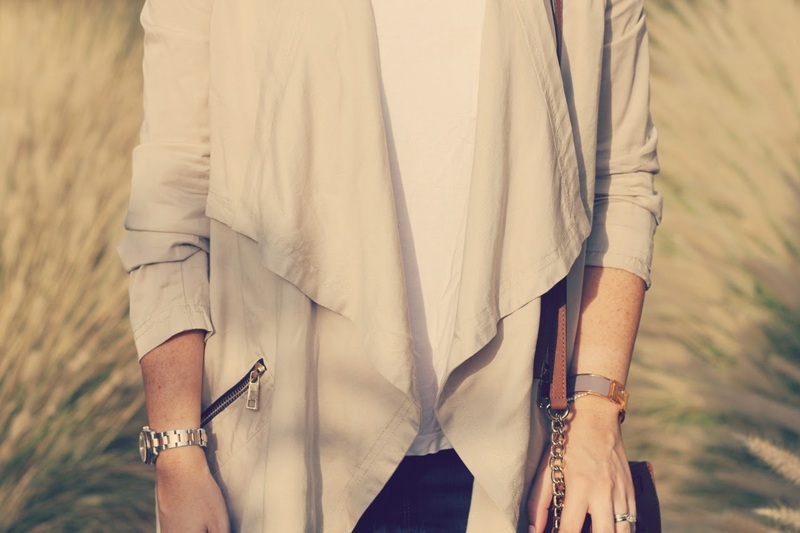 I love the drape on that jacket... it's perfect for cooler summer evenings - not that you have those where you are but I'm sure the A/C is even colder! I totally understand what you mean by rebelling the weather as I used to live in Florida and faced hot and hotter temperatures all year long. I ended up always dressing for the AC units, so a sweater, jacket, cardigan and any other cover was a always desired and a must as part of my wardrobe. Love this jacket and great casual look. 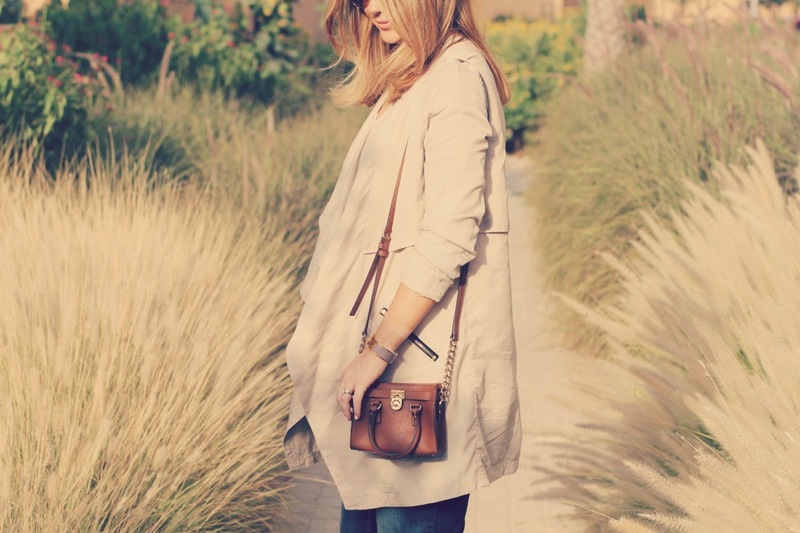 Love the jeans and the bag! Definitely going to try on those jeans! Now that's my kinda nail polish. Great and special makeup tips. I love to choose modern make up products. VipEssayService.net is our site for weak students who need tutors help about their research work and content writing. Thanks for sharing this. perfect! you should try turmeric forskolin now to lose weight.